Just have to baste and quilt it now. I think I will use Sarah Fielke's method of quilting which seems to be quick and easy, using Perle Cotton and a larger needle. Just for something different. It certainly is a departure from the quilt we have been sleeping under for quite some years. Mr Neat thinks "it's a bit busy" but surprisingly he loves the bright colours. He is a little conservative, so it is good he approves because before long he will be sleeping under it. (Have decided to get in and finish it before starting another - for a change). Now some of my qulting mates have suggested some pretty raunchy names for this quilt, but I think I will call it Kaffe Fassett Passion. Yawn boring, I know, I know. 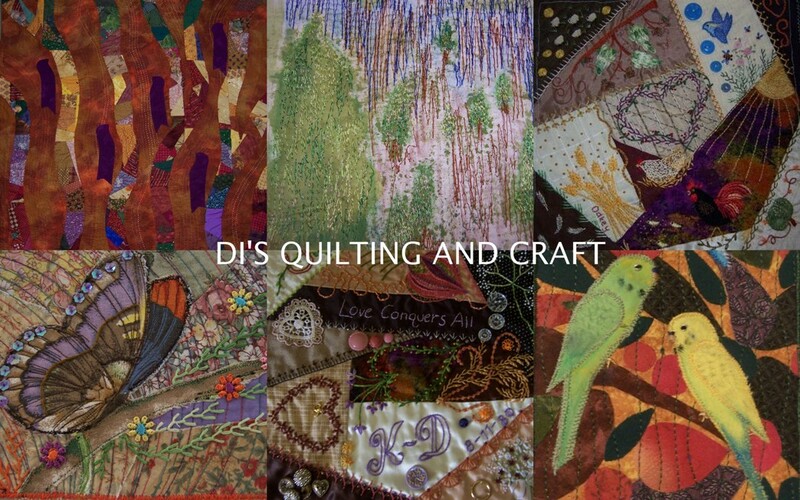 Just stunning Di, can't wait to see it at Quilting!